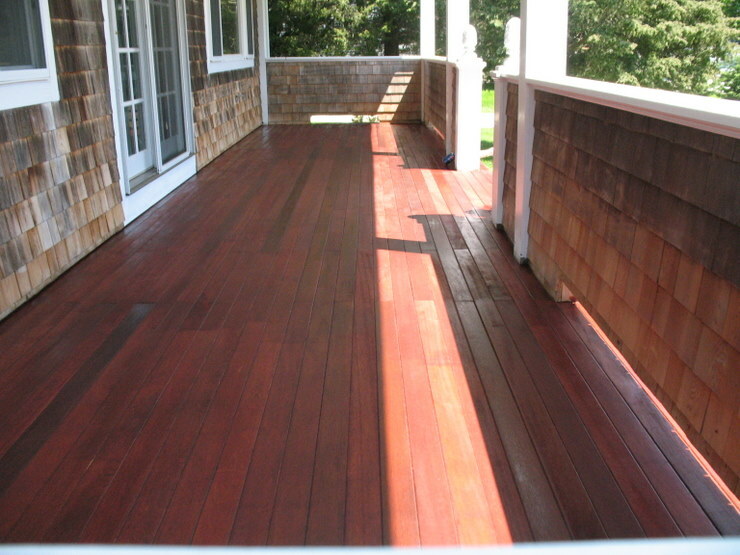 Deck Restoration | Deck Restaining | Deck Cleaning in Massachusetts. 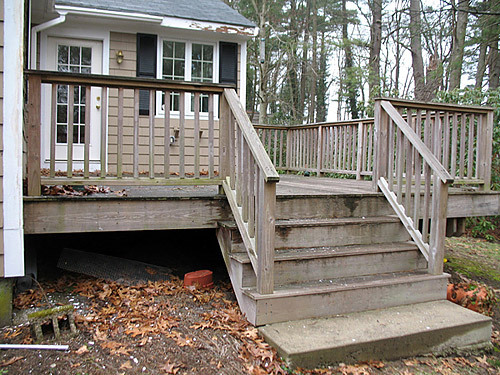 Too many homeowners invest thousands of dollars and lots of time and money building beautiful wooden decks, and sadly watch them deteriorate because their wood is unprotected from the devastating forces of the Northeastern weather. This damage to unprotected wood starts to begin immediately. 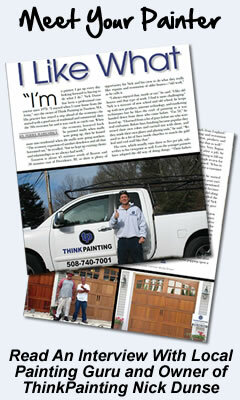 THINKPAINTING can provide your deck with professional wood sealants and deck refinishing capabilities. 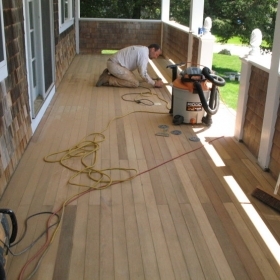 Restoration is the key to restoring your wood to a like new condition. 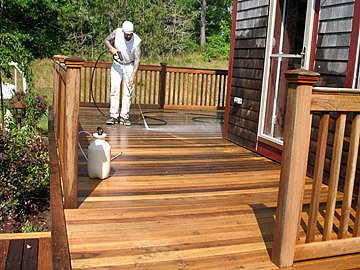 Depending on our analysis, your deck may receive either a chemical finish remover or commercial grade cleaning detergent. 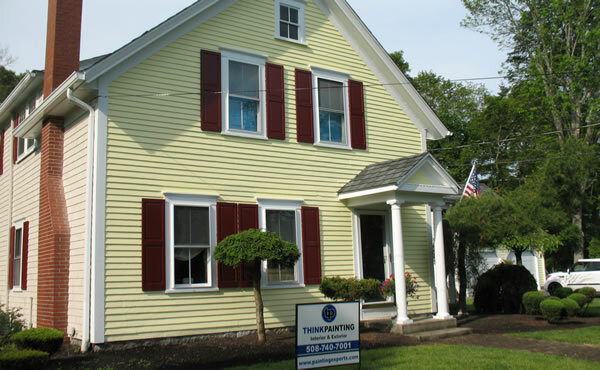 These professional grade cleaners will safely remove years of failed stain, mold, mildew, and other dirt. 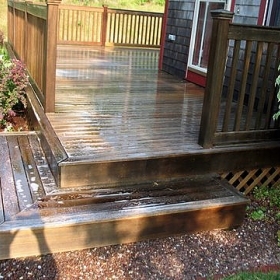 A low pressure wash will remove these detergents to reveal a clean wood surface. Because commercial grade cleaners are caustic on the PH scale, a chemical neutralizer must be applied. This balances the wood’s PH making it more conducive to staining. 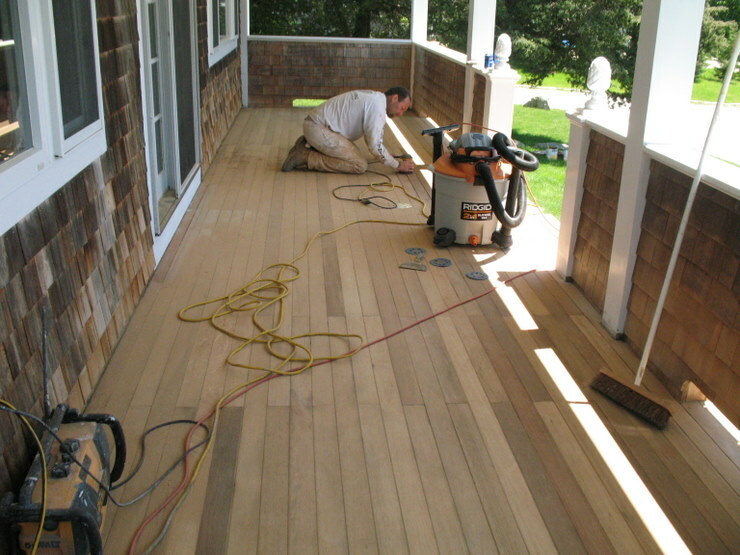 In addition to preparing the wood for stain, the neutralization process acts as a brightener, returning wood to it’s natural look. 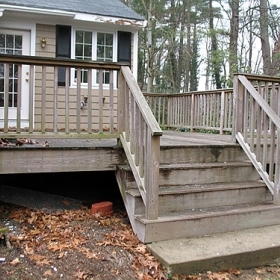 Many contractors have no idea what this step is or they just skip it. 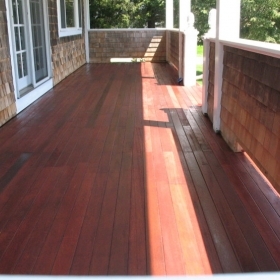 This step makes a huge difference in your decks finish! 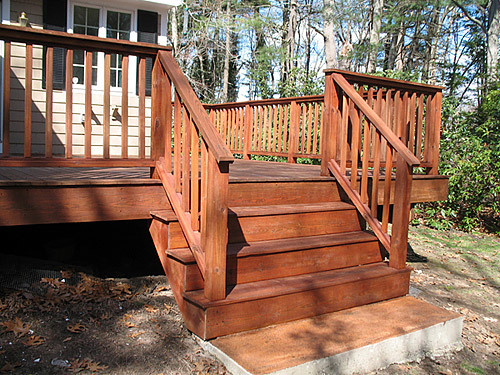 Once the deck has been fully cleaned, our EXPERTS proceed to set nails, sand handrails, and perform any other agreed upon repairs. We also make sure to mask your house and any nearby vegetation to protect against stain. 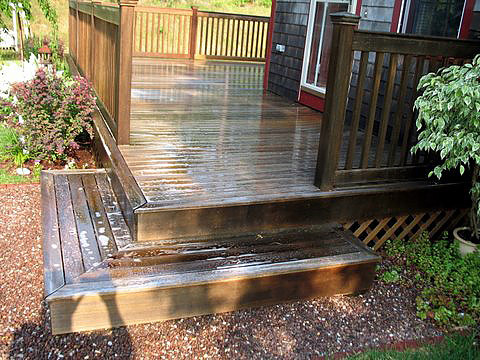 We take great care not to harm your lawn or plants, shrubs etc.. You’ll never know we there aside from the beautiful looking Deck we’ve left behind. 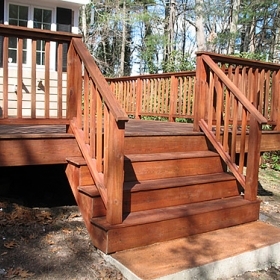 Once we have finished cleaning, neutralizing, and prep work, your deck is ready for the final beautiful step. 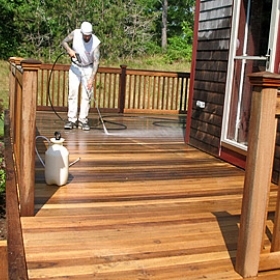 We apply a high quality oil based sealer to all surfaces, railings, steps, and posts on your deck. All our sealers are commercial quality and resistant to mold, mildew, and water, unlike many products available over the counter. Check Out The Difference We Can Make!